Pre-schoolers love to play, and thrive on learning through fun activities. 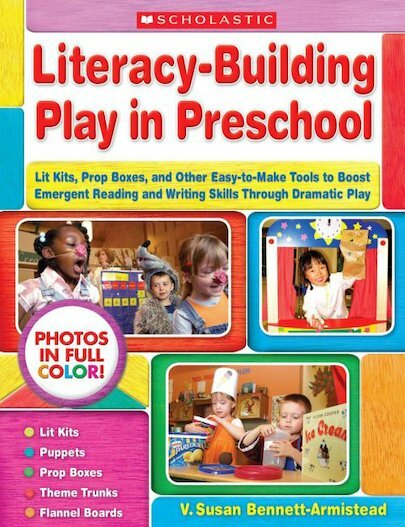 In this full-color, photo-packed book, Bennett-Armistead shows how to maximize play’s power so children not only have fun, but also learn essential reading, writing, listening, and speaking skills that prepare them for more advanced learning in future years. From traditional tools to modern technology, all ways of learning through play are covered in this fantastic guide. For use with Grade Pre-K.